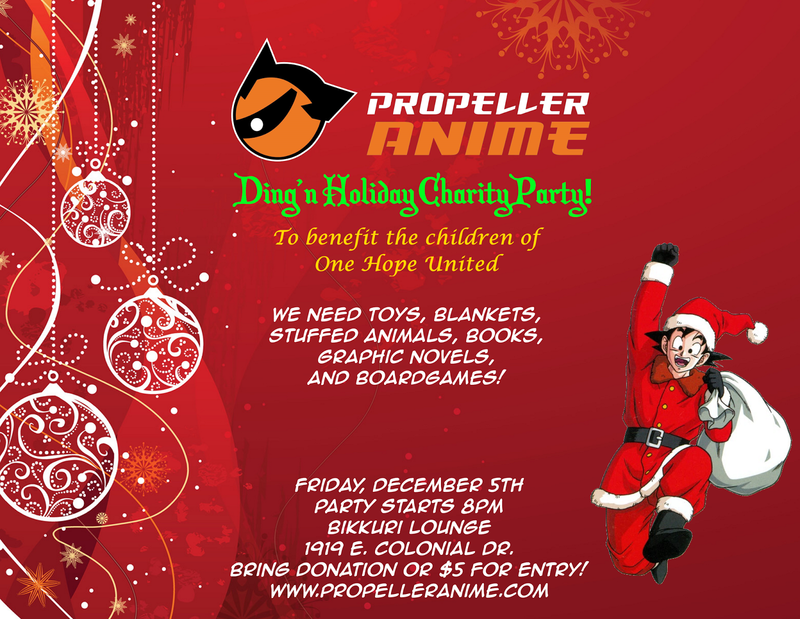 Propeller Anime: Propeller Anime's Ding'n Holiday Charity for One Hope United! Propeller Anime's Ding'n Holiday Charity for One Hope United! 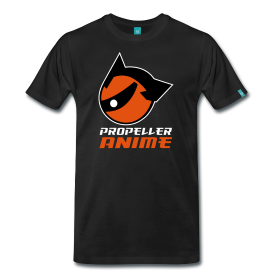 Propeller Anime and DING! are excited to announce that we will party hard for a good cause! On Friday, December 5th, we will be hosting a holiday charity party to benefit the children of One Hope United! 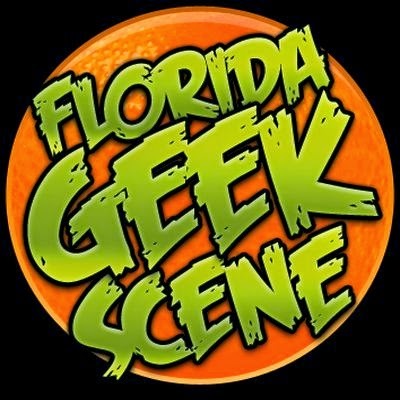 And we'll be doing it at Bikkuri Lounge, located at 1919 E. Colonial Dr. Orlando, FL! Please bring any toys, blankets, stuffed animals, books, graphic novels, and board games you have! It can be opened or new! Just make sure what you are donating is kid-appropriate and in good condition! All donations and profits from this party will go to One Hope United! One Hope United protects vulnerable children from child abuse or neglect, strengthens their families, and prepares children for a prosperous future. They are an accredited, not-for-profit human service organization that provides a diverse array of high-quality prevention, intervention, counseling and child development programs. Bikkuri Lounge is a nerd's paradise with the best in Japanese cuisine including sushi and sake, and a full bar with drink specials such as 2 for 1 beers and $3.00 wells until midnight!